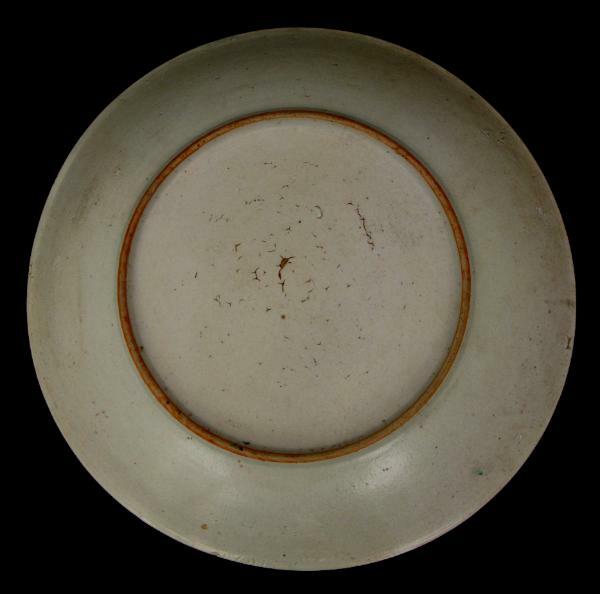 This export Chinese porcelain dish was made in southern China for export to the Indian Islamic market. 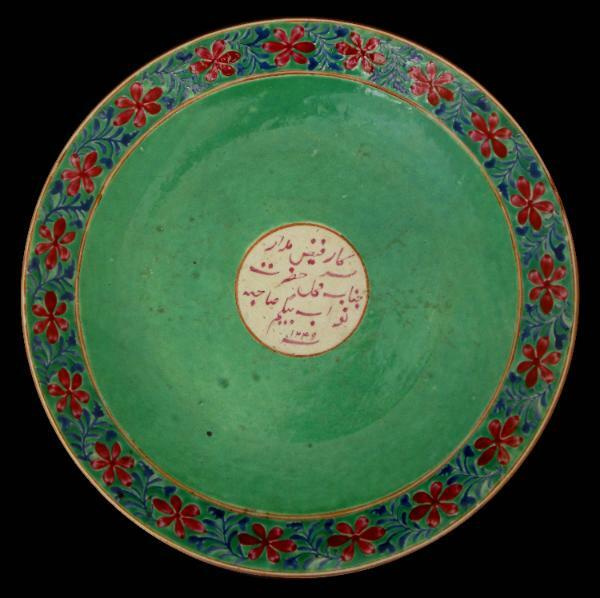 Decorated with a polychrome border of flowers and leaves against a rich, spinach-green background and with a central plaque in red with Arabic script and the year 1239 AH (approximately 1823-4 AD). This dish with its high rim is suitable for piling with mounds of food as appropriate for a banquet or celebratory feast. 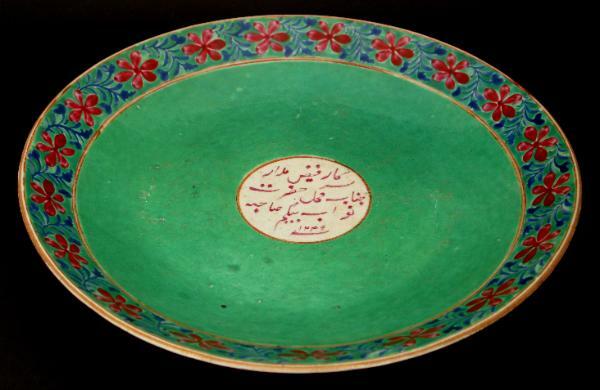 The script reads ‘Sarkar Fez Madar / Janab Mahal Hazrat / Nawab Begum Sahiba’ or ‘Chief Fez Madar / for the Mistress of the Honoured Holy Mansion of Nawab Begum Sahiba’. The use of the honorific ‘Nawab Begum’ is more typically associated with northern India, suggesting Indian provenance rather than Persian. Greensted, M., & P. Hardie, Chinese Ceramics: The Indian Connection, City of Bristol Museum & Art Gallery, 1982.
for a similar though smaller example.